CARFAX 1-Owner. Premium trim. EPA 28 MPG Hwy/20 MPG City!, PRICED TO MOVE $1,000 below NADA Retail! Leather Seats, Sunroof, Panoramic Roof, Power Liftgate, All Wheel Drive, Alloy Wheels, Turbo. READ MORE! Leather Seats, Panoramic Roof, Power Liftgate. Audi Premium with Scuba Blue metallic exterior and Black interior features a 4 Cylinder Engine with 220 HP at 4450 RPM*. Rear Spoiler, MP3 Player, Sunroof, All Wheel Drive, Aluminum Wheels, Keyless Entry, Privacy Glass. "Materials quality is excellent, and the overall ambience is one of sophistication and class." -Edmunds.com. 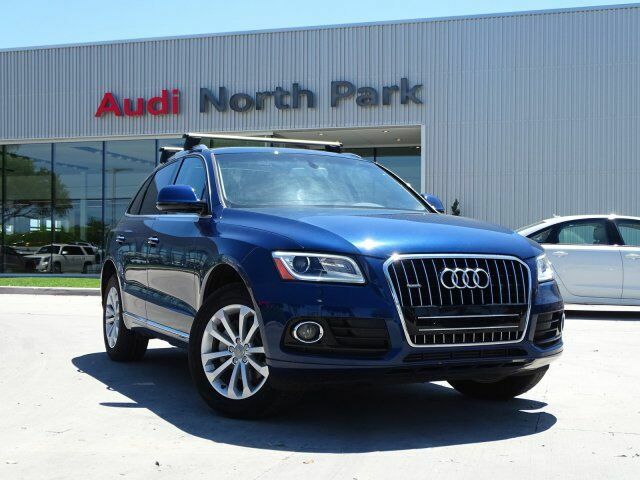 This Q5 is priced $1,000 below NADA Retail.